The significance of an election in a democracy is mammoth as it is the only means through which the voters choose their representatives for running the administration for a stipulated time period. Like the election at the central level, the implication of the election at the local and urban government bodies is also very significant as the process of development of leadership commences at these levels. From an academic point of view, there are a number of reasons why the election in local government bodies is important. First, through the election process, the community people get connected with their representatives who get legitimate power to administer these bodies. Second, since people use to elect their own representatives, the democratic process is strengthened through the election. Third, since election provides an opportunity for the community people to get engaged in the governance of their respective bodies, it creates an opportunity to foster greater unity and co-operation. Fourth, if voters get an opportunity to elect their own representatives, ownership is developed among them to support the body. Fifth, the election is also used as a mechanism of holding people’s representatives accountable for their actions during their tenure at the office. After the 11th parliamentary election that was held on 30th of December 2018, the Bangladesh AwamiLeague has shown in power through a landslide victory in this election. After the parliament election, the Election Commission has taken initiatives to hold elections in the Upazila Parishad and by-election in the Mayoral post in the Dhaka North City Corporation (DNCC), which remained vacant due to the demise of Mr. Annisul Haque along with election in 18 new ward councillors in DNCC and 18 in Dhaka South City Corporation. In addition,the election was also held in 12 new reserved seats for women in both the city corporation. In the DNCC election, Mr. Atiqul Huq of Bangladesh Awami League has won the election, which was predicted. One of the significant developments is that the main opposition political party, the Bangladesh Nationalist Party (BNP) has decided not to take part in any local government election under the existing EC after their substantial defeat in the 11th parliamentary election. The absence of the main opposition party has made the electoral environment very tranquil and inconspicuous. In Bangladesh, election always takes place in a festive mood. But this time, the situation has totally changed as there is hardly any competition in the election. Particularly, election to the post of Upazila chairman and DNCC Mayor is not competitive as the provision of the party-based election in these positions has closed the door in most cases for the aspirants within the party to contest the election. Of course, there are few instances where AL leaders are contesting the election as independent candidates. But this list is not very long. Now a pertinent question is: what is the magnitude of the BNP’s decision to refrain from taking part in the local government elections. If we make a deeper analysis of this decision of the BNP, we will find a two-way effect. First, the absence of the party in the election is making the election non-participatory. Thus, it has created a sense of repugnance among the voters to exercise their voting rights in the election. On the other hand, the decision to proscribe election would negatively affect the BNP’s own politics. The grassroots leaders and supporters would feel discouraged if they do not get involved in the electoral process. The party has already been positioned in a wobbly situation staying away from the power for the last ten years. After the 11th parliamentary election, it seems that they will have to wait for five more years. Thus, local leaders have already started to become indolent. Under this circumstance, the local government election could have been a great opportunity for the party to make their leaders and supports active in the political process. Even, if the party intends to organise any sort of movement against the government, they will require the support of the local leaders and supporters. Thus, the decision to boycott these elections would affect the party very seriously. On the other hand, the introduction of the party-based election in the important positions of the urban-local government bodies has squeezed the scope for political competitiveness at the local level. Previously, these elections were very competitive and thus considered as the ground for the development of local leadership who would, in the long run, be the central leaders. In the absence of the main opposition in the election, many Upazila chairmen have been elected uncontestedly. This is also not good for the democratic practice of the country. Since the election to the post of Upazila Chairman is held on a party basis, only one candidate from the ruling party is getting nominated. If the local parliament members have a strong hold on the local politics, he/she is managing other aspirants so that the nominating candidates are getting elected unopposed. Even, in cases where someone has filed his/her nomination as an independent candidate, the local power structures headed by the MP are compelling them to withdraw their nomination so that the centrally nominated candidates could manage to get elected unopposed. If this trend persists, this will certainly extinguish the democratic practice at the local level. Had the AL government not introduced the party based election in the key positions of local government bodies, the election would have been competitive despite the BNP’s boycott because many candidates within the party and many leaders of the opposition would have contested the election. Finally, the way local government elections are taking place, there is a possibility that voters would lose their interest in the electoral process. We have seen that in the DNCC election only 32 of per cent voters have exercised their voting rights. Of course, the weather was very bad during the Election Day. Moreover, this was a by-election only for over a year. These factors might have influenced the voters not to go to the voting centres. But if we try to analyse the situation from a holistic viewpoint, this is not good for the democratic practice of our country. Even in many Upazila Parishad voters would be deprived of exercising their voting rights for the post of Upazila Chairman as many of them have already got elected unopposedly. If these people are getting elected unopposed, they will have little consideration for the interest of the electorates. Rather, they would be more interested to serve the purpose of their political masters who have helped them to get the nomination and get elected without contesting the election with others. Thus, the government along with the political parties should conceive the gravity of the situation and work together for strengthening democratic practices at the local level. 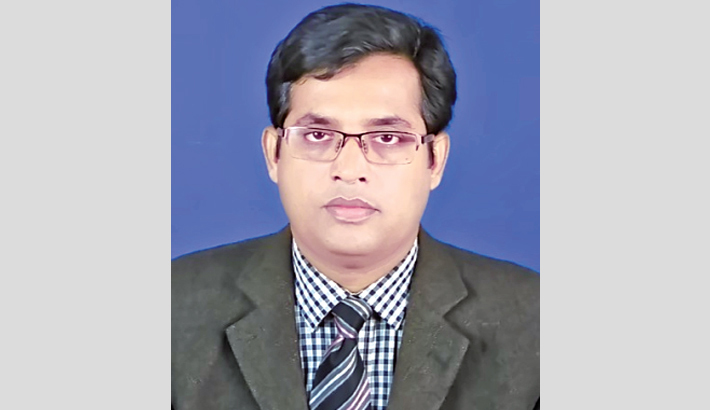 The writer is a Professor of Public Administration and an Additional Director at the Institutional Quality Assurance Cell (IQAC) at the University of Rajshahi.